Several countries have offered to create free-trade zones with the Eurasian Economic Union of Russia, Kazakhstan, Belarus, Armenia and Kyrgyzstan, Tengrinews reports citing Interfax-Kazakhstan news agency. Among them are Zimbabwe, Jordan, Syria, Mongolia and Albania. 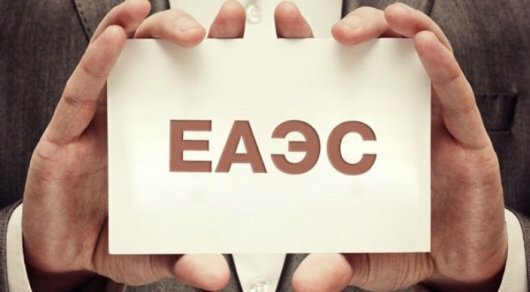 Overall, the Eurasian Economic Commission — a supranational body of the EEU — has received over 30 applications from countries that are interested in signing a deal with the EEU that has a single market of 176 million people and a gross domestic product of over 4 trillion U.S. dollars. The Commission is responsible for considering these applications, while the decision to set up joint research groups and launch negotiations is made only with the consent of all members of the Union. Three joint research groups have already been created with Israel, Egypt and India, which are currently studying the feasibility of agreements on free trade regime with each of the countries. On May 29, a free trade deal was signed with Vietnam, which currently awaits the completion of all internal ratification procedures. Kazakhstan, Russia and Belarus signed a treaty establishing the EEU on May 29 of last year with Armenia and Kyrgyzstan officially joining the Union in January and May, respectively. The union operates through supranational and intergovernmental institutions and provides free movement of goods, capital, services and people. The EEU membership is open to other countries that share its goals and principles. Earlier in May, Kazakhstan’s President Nursultan Nazarbayev also marked an increasing interest to the EEU. "Armenia was first to join, and now we have welcomed Kyrgyzstan. Although our trade turnover is down because of the crisis, I feel that the Eurasian Economic Union holds a great promise. Just look at why many nations want to join us: China wants to create a free economic zone, we have signed agreements with Vietnam, Turkey wants to join in, and India wants to be with us. In the other words, this union is in demand, and it is appreciated by others," he said then.